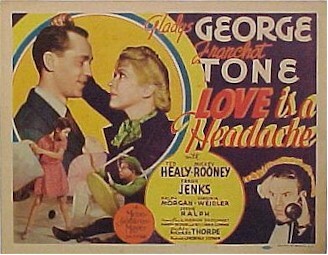 1938 - ORIGINAL US Title Card from the 1938 MGM Film "LOVE IS A HEADACHE". Card is 1 card out of a set of, measures 11" x 14" and is in very good cond. Corners & borders show some wear & creasing. The borders also show a bit of light staining in some spots & some light surface dirt. Also starring in this film is "Mickey Rooney". 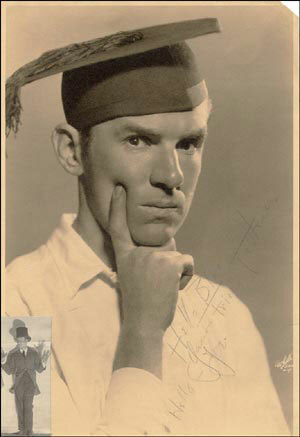 Ted Healy was the "Original" straight man and manager/founder of the "Stooges". A must have for fans of the Stooges. Great Healy close-up and also included in credits. Healy completed this film just before his tragic death. Original 'founder' of the Three Stooges. Faced with no act one night, Healy, a Broadway comedian, called two boyhood friends - Moe and Shemp Howard - up on the stage one night. Their ad-libbed routine brought the house down and began the career of the Stooges. Healy died under mysterious circumstances in December of 1937; some say he was murdered after a drunken brawl. 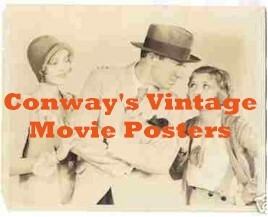 Vintage sepia matte-finish 8.5 x 12.5 photo, signed and inscribed in pencil 'Hello Blue, Hello Joe, your friend, Ted Healy.' 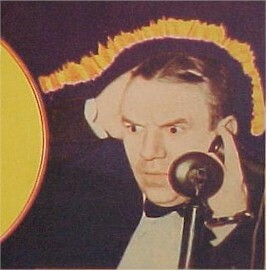 In fine condition, with a small photo of Healy affixed to lower left corner and pencil a shade light against background. Guaranteed authentic for life. Also comes with COA form R&R Enterprises.